Congrats to Pamela Cook, Award Winning Girl Scout Volunteer! Pennsylvania's ABC News 27 reports that on Valentine's Day, Cabot Creamery Cooperative and its partners launched Reward Volunteers 1.0, the nation's first mobile and web app that allows volunteers to log hours, post to Facebook and win rewards for themselves and the organizations they serve. 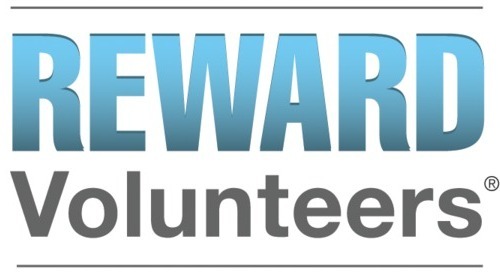 During the five month run of the program, more than 2,300 users from 12 countries and 46 U.S. states have connected to Reward Volunteers, representing nearly 800 organizations and logging just under 45,000 hours of community service. The Grand Prize winners for Reward Volunteers' first campaign – dubbed Reward Volunteers 1.0 - have been selected. Among the top winners is Pamela Cook, a volunteer for The Girl Scouts of the Green and White Mountains. "I can't believe I won," says Pamela Cook, a volunteer for the Girl Scouts of the Green and White Mountains of New Hampshire and Vermont, who will receive $3,000 for her volunteer efforts this month. "I plan to pay some bill and maybe take a weekend getaway with my winnings. While I love volunteering for the Girl Scouts, it is nice to be recognized, and I hope this encourages others to get out there and volunteer." Kudos to Pamela Cook and to all the Girl Scout volunteers out there!